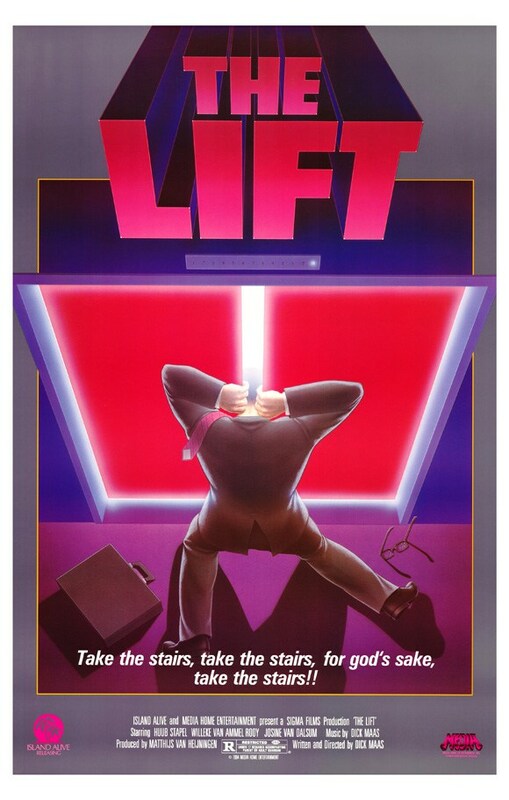 A bank of three elevators begins sadistically and mercilessly killing people. Four people are nearly suffocated, a blind man is tricked into stepping into an open elevator shaft, a security guard is decapitated. Why? Because a new chip has been installed in the elevator’s electronics and it has caused it to become sentient in the most dickish way possible. How the electronics on a bank of elevators allows it to snap a cable and use it like a tentacle is unknown but anything is possible through the power of computer chips in an ‘80s movie! Yes, though it’s a bit slow in the middle. The majority of the kills happen in the first thirty minutes. There are teases of more violence to come through some fairly tense scenes (scenes that are perhaps a bit undercut by the obvious ripoff of the Jaws theme on the score) but the remainder of the elevator action is in the back section of the movie. The mystery of the movie is played off fairly creepy which is why it’s kind of a let-down when we find out that the whole thing is being caused by a glowing computer chip that’s leaking gelatinous piles all over the elevator shaft. I don’t know that a supernatural explanation would be any better but the science fiction ending to what has been a pretty spooky if shallow movie is just a bit more hokey than the movie deserves. Mostly there’s too many scenes of our lead character the elevator repairman and our heroine the tabloid reporter skulking around trying to solve the mystery and not nearly enough elevator-based mayhem. It’s still a well-directed film and I may have to find an excuse to check out the American remake Down (A.K.A. The Shaft) which was made by the same director sometime. Definitely a watch, but maybe even a soft buy. There’s a Blue Underground release that seems to be out of print but still easy enough to get hold of.